It’s the news that virtually all of Team Rock Sins was hoping for, with it having been rumoured for quite some time. 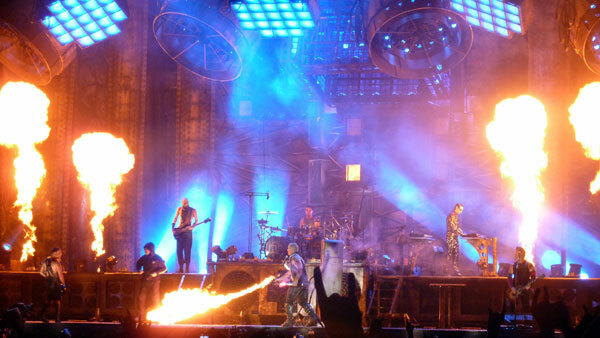 Rammstein are headlining Download Festival 2016!!! The German industrial metal giants have been confirmed as the final headliners for next year’s Download, headlining the event on the opening night, Friday June 10th. Rammstein join Black Sabbath who headline Saturday, and Iron Maiden who will close the event headlining on Sunday night, as the three headliners for Download 2016. By the time it was formally announced this morning, it was something of a poorly kept secret (indeed the official Download Festival Twitter account may have accidentally let it slip at some point yesterday briefly), but the majority of fans won’t mind at all. They’ll just be happy that a band acclaimed as one of Download’s best ever headliners are making their return. Tickets for Download Festival 2016 go on sale at 9am on Friday (23rd of October 2015) on the official festival website www.downloadfestival.co.uk/tickets. A 5 day arena and camping ticket, for the full Download experience will cost £205 plus fees and postage, while a 3 day arena and camping ticket will cost £195 plus extras. Those who want the full 3 days in the arena can pay £170 plus fees, while individual day tickets for the festival will be £75 plus fees. Stay tuned to Rock Sins for more Download Festival line up announcements as the weeks and months progress!